Located in the heart of the area Monplaisir, la Place Ambroise Courtois is well-known for its magnificent kiosk, its public benches and its terraces. It is two steps to the Institut Lumière, the birthplace of the cinema. 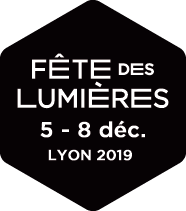 Thanks to the initiatives of the inhabitants and of the local associations, the Place Ambroise Courtois is always animated during the Fête des Lumières. For a performance light brushes and performing arts are usually associated to offer an artistic project of an impeccable quality.